It's not fair. Every morning when I go and feed my chickens I always imagine a beautiful horse galloping toward me in the fog. 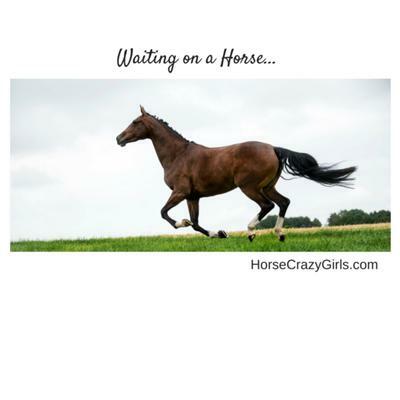 I always act like it's going to happen and I keep waiting for the sound of hoof beats and nickers. I want a horse of my own so bad I do that. And when I watch videos of horses I find myself crying. Am I alone out there? Does anyone feel the same? Is it like nothing is good about your life without horses? That is what it's like to me. Hi, I used to know just how you feel, have you tried volunteering at a local rescue? Being around horses can really help and I'm sure the rescue needs it! I do horse 4h but it's only once a month. I'm saving my my money for lessons. My parents just don't have the money right now. I wish I had an answer for you. Is there any way you can be around horses--4-H or a horse rescue for example? I really feel for you!